Dr. Wael Nabil Elabbassi graduated with Honors from the Jesenius Faculty of Medicine (JLFUK), Comenius in the Slovak Republic. He followed that with a protracted experience in paediatrics which concluded by him acquiring first part of MRCPCH, Glascow, United Kingdom. He then went on to undertake a Residency in Internal Medicine at the State University of New York, and acquire American Board Internal Medicine. He went on to finish Fellowship training in Congestive Heart failure and Cardiac Transplantation, at the Ottawa Heart Institute, University of Ottawa, in Canada. Since 2014 he has acquired the Fellowship of European Society Cardiology (FESC) & Fellowship of European Society Interventional Cardiology (EAPCI). Dr. Wael’s work experience spans 13 years in various institutions namely the Division of Internal Medicine at the State University of New York; Health Science Center at Brooklyn (SUNY HSCB), New York, United States, division of Cardiology at the Ottawa Heart Institute in Canada. 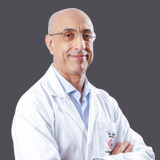 He also worked as a Specialist then Consultant Internist and Cardiologist at a leading Hospital in Sharjah, Ministry of Health, United Arab Emirates. 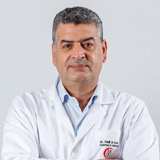 Dr. Wael’s area of expertise includes internal medicine, non-interventional cardiology (mainly echocardiography; transthoracic and trans-eosophageal, stress testing by Echo or treadmill, Holter and ambulatory blood pressure monitoring), diagnostic and interventional coronary angiography, peripheral angiography and angioplasty for Iliofemoral diseases and below knee angioplasty, structural heart disease procedures, such as Trans-femoral Aortic Valve Implantation (TAVI), Mitraclip for suitable candidates; Septal ablation for HOCM cases, Emergency ECMO implantations, Pacemaker, ICD (single and dual chamber), CRTP, and CRTD implantations, interventional echocardiography in cases of left atrial occlusion device implantation, Implantation of intra-aortic balloon pump (IABP) and transient pacemaker unsupervised whenever required, pericardiocentesis unassisted. 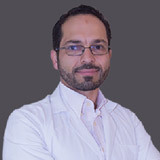 Dr. Wael has more than 20 publications & abstracts to his name. 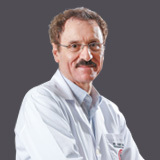 He is also an honorary member of Royal College of Pediatricians (MRCPCH), Glasgow, United Kingdom & has a Fellowship in Congestive Heart Failure and Cardiac Transplantation, Ottawa Heart Institute, Ottawa, Canada. 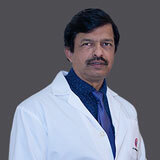 He is an active member of European Society Cardiology, FESC & European Society Interventional Cardiology (EAPCI). Dr. Wael speaks Arabic, English, Slovak & French.